So you’ve been on your new training program for a while, following your nutrition guidelines and making those workouts count. But are you getting results? According to University of Illinois kinesiology and community health professor Edward McAuley, “almost 50 percent of people who begin an exercise program drop out in the first six months.” His 2011 study published in the American Journal of Preventative Medicine found that celebrating your successes, adjusting your regimen specifically for you and asking others for help are key factors in making it easier for you to live a healthy lifestyle. As Eric Cobb, co-founder of Z-Health Performance Solutions, says, exercise should not be a one-size-fits-all attitude but a one-size-fits-you approach. Ask yourself the following eight questions to make sure your workout program is helping you get to your goals. 1 DO YOU LIKE THE WAY YOU LOOK? If aesthetic goals are high on your list, then ask yourself, are you happier with the way you look? Are you getting leaner? Are you putting on muscle? Eric Cobb of Z-Health Performance Solutions has seen growing evidence that factors like genetics play a huge role in weight-loss plateaus. That means we’re not in control of how we look as much as we’d like to think. Although these things can impact your aesthetic results, he believes that one thing contributing to this is the use of a standardized regimen that has not been designed or refined to suit an individual’s genetics, age, diet requirements or activity level. If you’re not achieving your aesthetic goals even though they’re realistic, suited to your body type and maintain a healthy amount of body fat, making changes to your exercise and/or nutrition plan to suit your individual needs may be all that you need to start seeing progress. 2 DO YOUR WORKOUTS IMPROVE YOUR SENSE OF WELL-BEING? If your training program is working, then it should be making you feel great. According to Harvard Health Publications, exercise may increase serotonin levels, which improve your mood and help you sleep better. With a healthy diet, the President’s Council on Fitness, Sports and Nutrition says that exercise also reduces stress, raises energy levels and improves self-esteem. So ask yourself: Are you happy? Is your self-confidence improving? How well are you sleeping? How are your stress levels? Do you have any physical pain? An exercise regimen that is well-designed for you should also improve the health of your soft tissues and joints. If you’re you’re low on energy, always sore and in pain, then it’s time to adjust your workouts. Try keeping a journal of how you’re feeling on a daily basis — this will help you see any changes and take action if necessary. 3 HOW WELL DO YOU MOVE? A great program should help you move better, not worse. Neuroscientist Daniel Wolpert, M.D., says in one of his TED Talks, “The brain evolved, not to think or feel, but to control movement.” Simply put, movement is our primary method for interacting with the environment that surrounds us. It’s also required for a healthy brain. Functional neurology recognizes that each neuron in the brain needs two primary things to survive: fuel (glucose and oxygen) and activation. Every time a joint in the body moves, two things happen: The joint gets lubrication and blood supply (without which it will starve, decay and ultimately fuse to surrounding joints), and the sensors in and around the joint send information up to the brain. This input (called afferentation) is the basis for the activation the brain needs to function well and survive. An effective training program emphasizes both quality and variety of movement — in addition to quantity. Skills-based programs train and challenge you to learn new movement and coordination patterns. 4 HOW IS YOUR BODY FUNCTIONING AS A WHOLE? Exercise creates a large amount of stress on the neurological and hormonal systems. When you exercise, you not only put stress on the bones and muscles, you also put stress on virtually every organ in the body. However, this stress is considered healthy and helps improve overall function. Too much exercise (or the wrong kind of exercise), on the other hand, is bad, particularly if you often train so hard you’re unable to fully recover for weeks. This leads to overtraining syndrome, which can have drastic effects on long-term health and function. Here are some questions to ask yourself to gauge your overall day-to-day function: Are you in a constant state of soreness? Do you frequently feel tired and fatigued? Do you have trouble sleeping or frequently wake up during sleep? Do you get sick often? 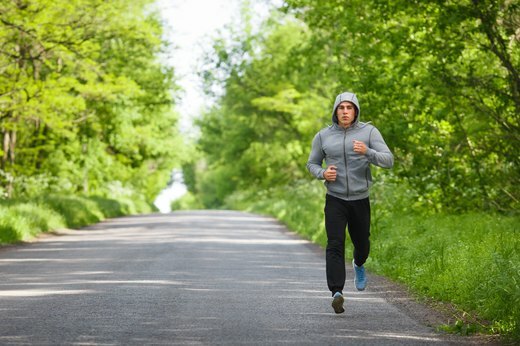 Are you losing your motivation or drive to work out? Are you losing your appetite? Is your heart rate often elevated? Do you feel anxious or irritable? Is it harder for you to concentrate? Do you feel like you are having to work harder, yet are underperforming in your workouts compared to normal? If you’ve been training hard and answered “yes” to any of these, then consider the possibility that you’re overtraining. If you haven’t been pushing yourself, consider getting checked out by your medical professional: There are other potential sources of metabolic stress that can cause any of the previously mentioned symptoms. 5 HOW WELL DO YOU REMEMBER THINGS? It’s long been known that exercise benefits the brain. A 2015 study published in the journal Gerontology found that greater muscular fitness of the legs was associated with improved cognitive aging. In addition, multiple research articles have found that those with higher fitness levels and physically active adults have greater brain volume in frontal and hippocampal regions than less fit and less active adults. Interestingly, the brain actually changes structure due to exercise — increasing in volume and size. A good workout program should help shift the trajectory of your brain health and function (barring any underlying medical conditions). Ask yourself if your memory, recall and ability to navigate and find things is getting better or worse over the long term. If you find it is getting worse, consider your workout program. A skills-based program that focuses on developing movement skills and cardiovascular fitness may provide the best brain support. 6 WHAT IS YOUR POST-WORKOUT RECOVERY LIKE? If you’re not recovering from your workouts quickly and completely, you’re not likely to progress in your program as quickly as you could with a more complete recovery. The goal of any program should be to adapt to the physical stress created by a workout, resulting in increased fitness and function. Luckily, technology exists that helps us time workouts and decide how hard to push during the workout. Gavin Sandercock, director of the Centre for Sports and Exercise Science at the University of Essex, says that monitoring small changes to your heartbeat, or heart rate variability (HRV), can be a powerful tool to assess the impact of stress on your health. Along with daily mental stress, exercise, too, places a large demand on the body. 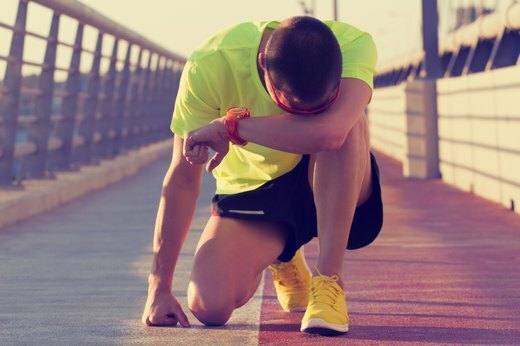 If recovery is inadequate, training can do more harm than good, leading to loss of sleep, lack of concentration, low immunity and muscle soreness. To help you track this, try Ithlete, a mobile app that allows you to record your heart rate throughout the day and make notes about your mood, diet, energy levels and sleep. This feedback loop allows you to ensure your training is improving your performance without over- or undertraining. 7 ARE YOU GETTING FASTER/STRONGER? If you’re seeing positive changes in your body composition, that’s great! But if your performance isn’t simultaneously improving, it’s time to make some adjustments to your program. Keep track of your performance in a way that’s relevant to your training goals. For example, record the weight you lifted, your running time for a given distance or the number of reps completed for a specific exercise. Heidi Godman, executive editor of the Harvard Health Letter, says that exercise improves memory, thinking skills and learning ability and reduces depression, stress and anxiety. So an effective personalized training program should not only improve your performance in the gym, but it should also let you reap benefits that cross over into your general life, allowing you to be more creative, foster healthy relationships and cope better during hard times. Ask yourself if your training is helping your performance at work and at home. 8 HOW OFTEN ARE YOU INJURED? As Eric Stevens, NSCA-certified personal trainer, says, “For years, my goal was to kill it at the boxing gym and in the weight room every day. I beat myself up a lot in the process, always winding up in some sort of physical therapy along the way.” We exercise to be healthier and improve our life expectancy, so why would we want to live sore and injured? Training should make your joints, tendons and ligaments more resistant to injuries as well as reduce your chance of a heart attack, says Z-Health Performance Solutions’ Eric Cobb. A 2015 Danish study from the Journal of the American College of Cardiology found that people who overexercise have a mortality rate similar to those who do not exercise at all. Balance, therefore, is key. 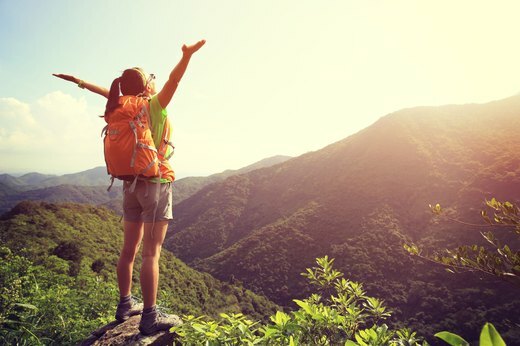 Schedule regular rest days and do activities that nourish your mind, body and soul, such as gentle stretching, massage and hiking or swimming. Listen to your body, and don’t push through the pain thinking that this is the only way to create your gains. You need some soreness to know you’re progressing, but you should never be injured as a direct result of your training program. Just as your fitness program should be designed specifically for you, there are no set rules as to which tools you should use to measure the effectiveness of your training program. Tracking your progress should give you an overall view of your program. What you use to track that progress should be based on your goals and what works in your lifestyle. Many coaches, including Becca Borawski Jenkins, CrossFit Level III coach, recommends using a journal to make daily notes about your workout, mood, hours of sleep, energy levels and how you feel in general. You can also make a note of your weight, body-fat percentage, injuries and soreness levels in order to build a moving picture. Apps like MapMyRun and Fitbit are an easy way for you to watch yourself progress while highlighting areas for improvement. And for tracking your daily calories, give LIVESTRONG.COM’s MyPlate app a try. Is your training program working for you? Have you quit your training program because you didn’t get results? 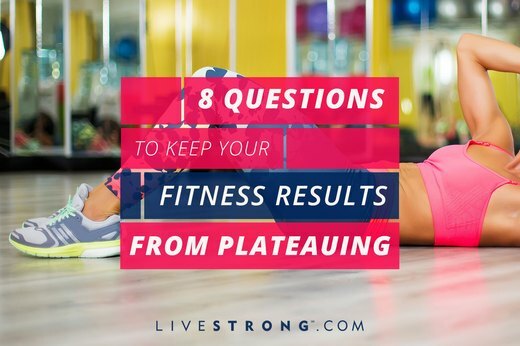 Which of these questions indicate that your fitness plan has room for improvement? Have you monitored your training performance holistically and made relevant changes to suit yourself? Have you worked with a fitness professional who designed a plan that makes you look, feel and perform better while increasing your resistance to injury? We would love to hear about your experiences! Let us know by leaving a comment below.